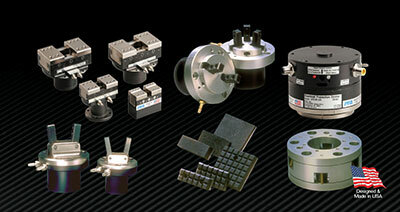 Products Archives | PFA, Inc.
PFA's Quick Mold Change plates and Quick Knock-Out systems can be used together or separately to provide rapid mold change capability with the confidence of hydraulic clamping force and true mechanical clamp holding. The unique slot design supports changeover from top/bottom to right/left clamping or any combination desired. 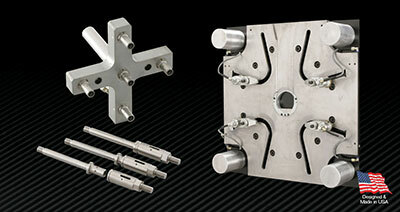 Once clamped, mechanical locks hold the mold secure without hydraulic pressure. 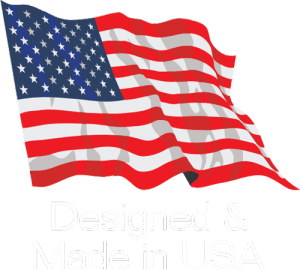 From PFA's unique portable Mechanical Die Lifters and spring loaded lifters to high force hydraulic clamping and lifting systems, you'll find the items to build a system to meet your needs at a price you can afford. QDC systems speed up production, keep presses running, and make die changes simple and efficient. Proven systems that have excellent ROI and increase employee satisfaction are a win/win for everyone. 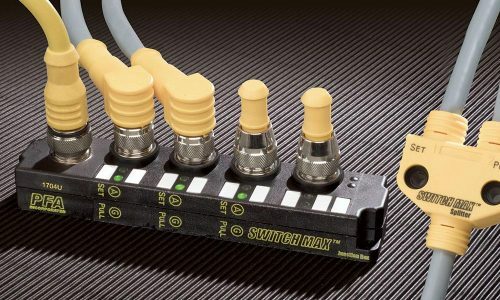 More than simply cables, PFA's NEW SWITCHMAX® connectivity solution, originally designed to connect multiple side-action mold cylinder sensors in series for easy "plug and play" connections machine inputs, SWITCHMAX® now offers cross connected sensor verification, PNP and Relay sensor connections, relay power adaptors for AC and zero volt inputs, and much more. Systems are now often used without cylinders for customized sensing of mold actions and integrating rocker and plunger switches. 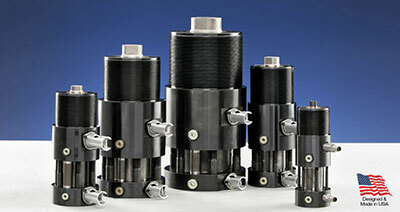 Self-Locking Cylinders function with common standard cylinder two port activation, but provide locking and holding forces up to 10 times more than a standard cylinder of the same bore size. 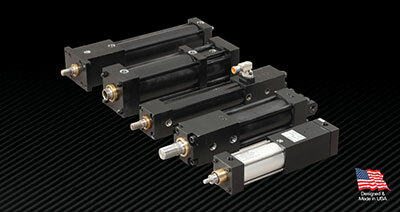 Braking cylinders are less aggressive for holding force, but employ an internal to rod brake that allows holding loads at any location in the stroke. 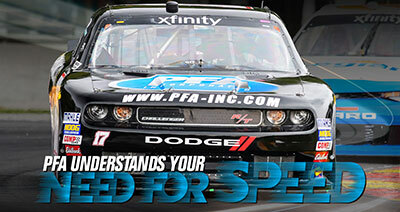 With some of the highest force to weight ratio Grippers, PFA really does GRIP IT! And that's not all - we have Compliance Devices and Flexible Wrist Overload Protection (OPD's) for a complete modular EOAT solution. And don't forget to check out our very popular GRIPPER PADS!